Officiële naam: sinds 2002: Unie der Comoren (comori: Udzima wa Komori); voorheen: Islamitische Republiek van de Comoren Oppervlakte: circa 1862 km2. 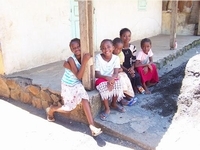 Aantal inwoners: 798.000; de Republiek (Unie) der Comoren bestaat uit de eilanden Anjouan, Grande Comore en Mohéli. Het eiland Mayotte behoort tot Frankrijk; op dit eiland is de Euro betaalmiddel. In a nutshell: Islamic culture plus castaway charm. 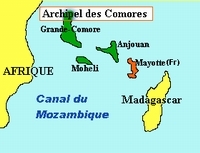 The unheralded trio of Grande Comore, Mohéli and Anjouan is unlike anywhere else in the Indian Ocean: in contrast to near-ish neighbours the Seychelles, the Comoros, an Islamic nation at the top of the Mozambique Channel, welcomes just a few thousand visitors a year. 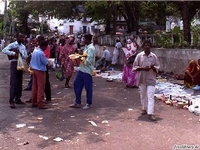 African, Arabic, Malagasy and French influences intermingle to intoxicating effect here, as do the fragrances of tropical flowers, which gave this old spice trading post its other name: the ‘perfumed islands’. Stroll the medina of Moroni, hike smouldering Mt Karthala in the south of Grande Comore, and then set sail for the even more remote outposts of Mohéli and Anjouan, home of endangered turtles and fruit bats respectively. 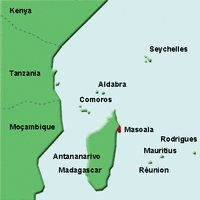 Go: Kenyan Airways, Air Tanzania and Air Madagascar fly to Grande Comore.